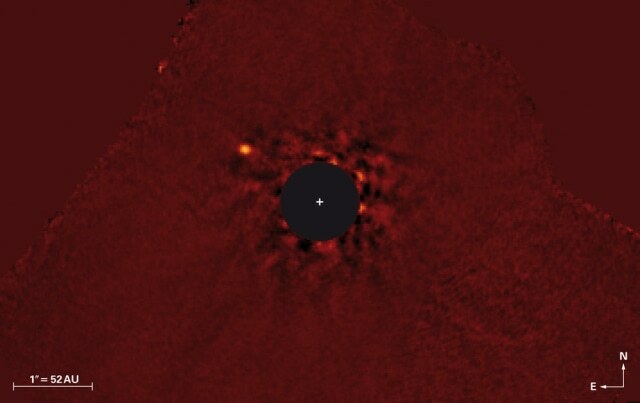 False color, near infrared image of the Kappa Andromedae star system as seen by the Subaru Telescope in Hawai'i. Almost all of the light of the host star, on which the image is centered, has been removed through image processing. A Super-Jupiter planet is clearly visible to the upper left.